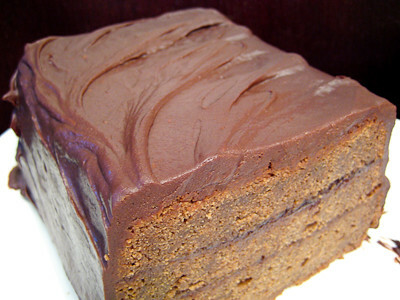 This week's Tuesdays with Dorie (TWD) recipe was chosen by Amy of Amy Ruth Bakes: Dressy Chocolate Loafcake. 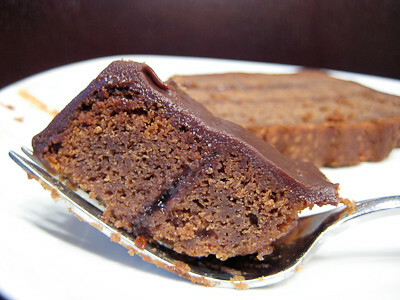 It's a wonderfully moist chocolate cake thanks to the addition of some sour cream that also lends it a very subtle tang. It's a moderately dense cake but does not seem too heavy at all. I layered my cake with some cherry preserves and it was so delicious. This would be the perfect chocolate cake to serve to someone who loves chocolate but doesn't like the denseness of something like a flourless chocolate cake. This post is extremely short and sweet because I've got one day left to finish up this month's Daring Bakers' challenge and pack for our big trip to California where our baby girl will get to meet my extended family (including her great grandfathers) for the very first time! Thanks Amy, for hosting this week. I love how simple this cake was to make, yet at the same time it's 'dressy' enough to serve to dinner guests. If you would like the recipe, you can find it here. Make sure you check out the TWD Blogroll, to see how everyone else enjoyed this decadent, chocolately treat! - Definitely do the knife test to check this cake! When I pulled it out of the oven it was a bit wobbly and I thought that surely it was underdone in the middle but when I pulled the knife out I was shocked to see that it was done! If I hadn't checked it, I surely would have burned it or dried it out. Your cake looks perfect Jaime. Have a fun trip. as soon as i saw the picture of this, i wanted it! yours turned out perfectly! cherry preserves, eh? great touch! Wow, this looks so tasty!!! I loved this: it reminded me of a Blackfores Cherry Cake I ate years ago in Germany. Yum! This looks so moist and I can't wait to try it. Jaime your cake looks so delicious and thank you so much for baking along in spite of the craziness in your life presently. 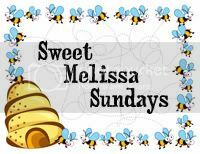 Wow, I hope your visit with your family is wonderful and it sounds like you are sharing some yumminess with them as well. That is so sweet of you. You're spoiling them already. hehe Safe travels. Your cake is picture perfect! Have a wonderful trip.